Planning a kitchen refit or an extension can often require additional plumbing and pipework. Planning your pipework can save a lot of trouble and additional cost. Where do you want appliances that need a water supply? Where will your waste water go? Note: Plumbing should be installed before any wallpaper, fixtures or cabinets are installed. This makes it easier to make changes during the planning and in the earlier stages of installation. Know your water pressure – some kitchen taps and washing machines need a minimum pressure to work so bear this in mind before purchasing. Our extensive kitchen appliance installation experience means we can fit anything from a new sink, water filtration system, waste disposal units, dishwasher or washing machine. The smallest room in the house is one of the most important. When planning a bathroom redesign, the installation of the bathroom plumbing might come as an afterthought, but really, it should be at the top of your list, along with the most important design decisions that you make. After all, well concealed and clever plumbing can help to create the perfect bathroom, whether you’re looking for a luxury, spa style bathroom, or a practical little wet room. A new bathroom can be complex, and everything must be done correctly and safely – You may need building regulation approval too. So, whether you are remodelling your bathroom or just updating the taps on washbasins and/or baths or installing a new shower or sink unit the AMD team can help. Do you need an Outside tap? It is incredibly useful to have an outside tap for watering the garden or cleaning the car. An outside tap on your property must be fitted in accordance with the building regulations. Burst or leaking pipes can be very stressful. Often a slow leak on a pipe can go un-noticed for a while before it becomes visible. Our fully qualified and experienced plumbers are on hand to repair, replace or install fittings, so if you are experiencing a plumbing crisis AMD are here to help. Got a leaking tap? We can fix, replace and install all types of kitchen and bathroom taps as well as any other taps inside, or outside, your property. From a leaking bathroom tap to a new mixer tap for the kitchen, even a new tap in the garden, our team of expert plumbers are ready to respond to your tap problems promptly and professionally. 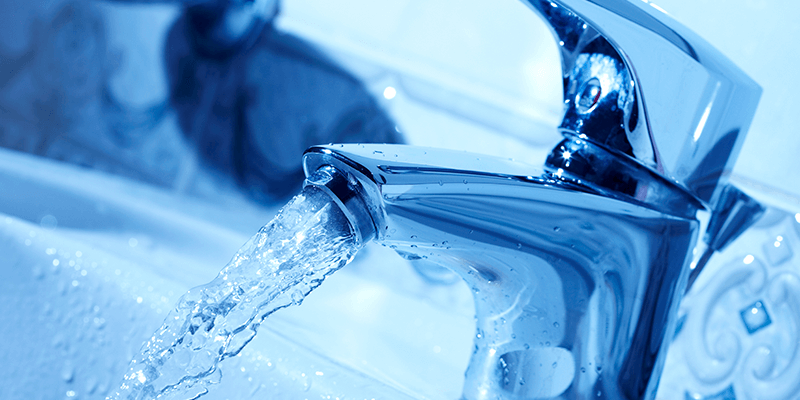 Whether it a tap on your bath, shower, sink or hand basin, give AMD a call today. We are here to offer professional advice and make an appointment at a time that is convenient for you. One problem that homeowners often neglect to have fixed is a leak at the base of a toilet. The leak often appears small or insignificant, but over time the water ingress can rot the subfloor and/or the finished floor. The same can be applied to a leak on a kitchen sink or a wash hand basin. It is always recommended that a qualified plumber check out any issue as someone unaware of the damage this kind of problem can create, may try to seal this themselves, sometimes making it worse. It is always cheaper to repair the leak early on rather than having to replace floorboards or kitchen cabinets/work surfaces. DO Turn off the water at the main shutoff valve (stopcock) – the main valve can usually be found near the water meter or under the sink. DO turn electric off at the source – the main fuse box. If you are unable to access the fuse box, call your power provider and request that they turn off the electricity until the leak is resolved. DO Catch the water. Placing a bucket to catch the leaking water can limit the amount of water damage. DO NOT try to fix or turn on any light fixture if water is present. Call a qualified electrician once the leak has been dealt with. DO NOT ignore a leaking pipe. The leak often appears small or insignificant, but over time the water ingress can rot the floor/surface around it giving you an expensive job to replace. Call AMD on 01562 886190 or 07936 326730. Yes, I am happy to accept marketing from AMD Gas.